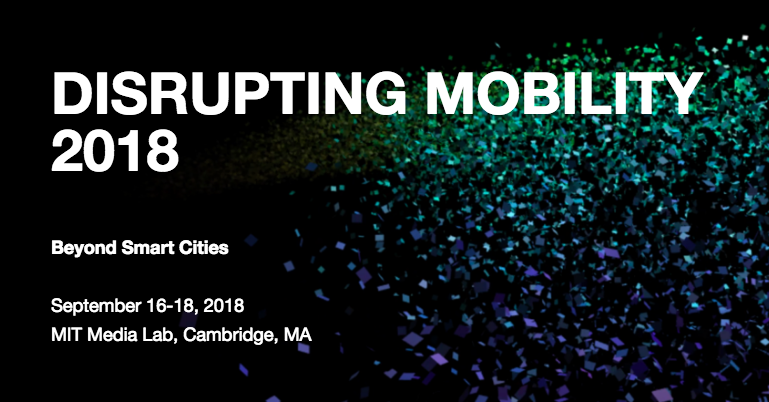 Susan Shaheen, PhD, and Adam Cohen will be co-leading the Disrupting Mobility Summit titled “Beyond Smart Cities” from September 16-18, 2018 at the MIT Media Lab in Cambridge, Massachusetts. Future mobility will make future cities. The summit’s aim is to openly address the conflicts inherent to competing and contested visions of urban mobility for the post-carbon age. Disrupting Mobility 2018 will generate robust debate of workable solutions as we explore the opportunities and challenges of integrating, scaling, and governing innovative urban mobility systems. For more information on the event, and to register, click here. Susan Shaheen, PhD, and Adam cohen will deliver a webcast titled “Is It Time for a Transit Renaissance? : Navigating Travel Behavior, Technology, and Business Model Shifts in a Brave New World,” at the Center for Urban Transportation Research at the University of South Florida on Thursday, July 26, 2018. For full details on this webcast, click here. Susan Shaheen, PhD, will deliver a lecture titled “Innovation and Disruption in Urban Mobility: Do We Need to Rethink Everything?” on Friday, April 20, 2018 at 1:40 PM at UC Davis. This lecture is sponsored by the UC Davis Institute of Transportation Studies, in partnership with the Pacific Southwest Region University Transportation Center. To see full details, and watch a video of the lecture, click here. Susan Shaheen, PhD, will deliver a lecture as part of Caltrans’ Planning Horizons series titled “Drivers of Change: Taking Us in a New Direction” on Friday, April 20, 2018. To see the full event details, click here. 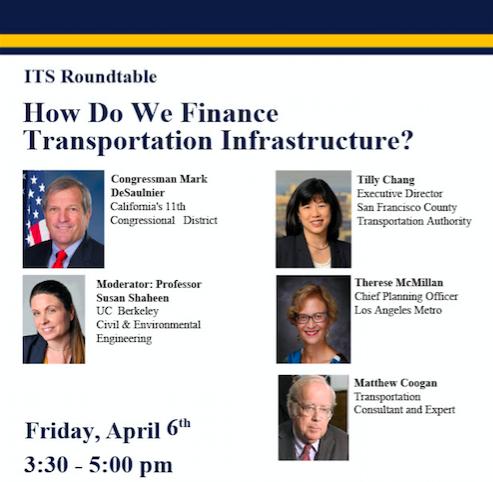 Susan Shaheen, PhD, will moderate a panel as part of the ITS Roundtable Series titled “How Do We Finance Transportation Infrastructure?” at the University of California, Berkeley on Friday, April 6th from 3:30 – 5 PM in Banatao Auditorium. Panelists include Congressman Mark DeSaulnier (D-CA), Tilly Chang (Executive Director of the SFCTA), Therese McMillan (Chief Planning Officer – LA Metro), and Matthew Coogan (Transportation Expert). 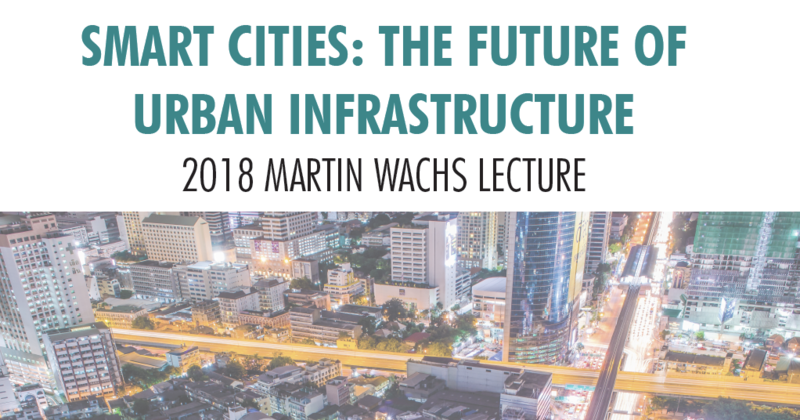 Susan Shaheen, PhD, will deliver the 2018 Martin Wachs Lecture, “SMART CITIES: THE FUTURE OF URBAN INFRASTRUCTURE” at the University of California, Berkeley, on Thursday, March 15, 2018 at 6:10 PM in Wurster Hall. She will be joined by Jeff Morales (moderator), Ryan Russo, Tom Maguire, and Maria Mehranian. Susan Shaheen, PhD, will deliver a keynote address at the San Joaquin Valley Clean Transportation Summit on Wednesday, March 14 in Fresno, California. This event is hosted by CALSTART and the Fresno State Transportation Institute, in partnership with the Fresno State Office of Community and Economic Development, San Joaquin Valley Clean Cities Coalition, the San Joaquin Valley Electric Vehicle Partnership, and the San Joaquin Natural Gas Partnership, with support from the California Energy Commission. 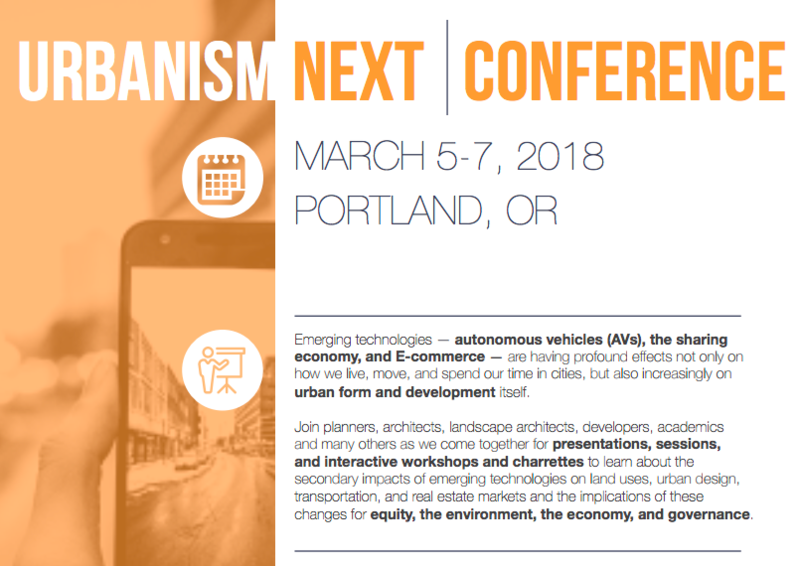 Susan Shaheen, PhD, will be a featured speaker at the URBANISM NEXT Conference at the University of Oregon on March 5, 2018. Planners, architects, landscape architects, developers, academics and many others will come together for presentations, sessions, and interactive workshops and charrettes to learn about the secondary impacts of emerging technologies on land uses, urban design, transportation, and real estate markets and the implications of these changes for equity, the environment, the economy, and governance. Susan Shaheen, PhD, will be the Keynote Speaker at CommuteCon 2018: Smart Mobility with Purpose on February 7, 2018. This is a free online conference, run by RideAmigos, that brings together people focused on finding smart, sustainable solutions to big mobility challenges – from employers, real estate developers, government agencies, academia, and environmental organizations. For more information on the TRB Annual Conference, please click here. 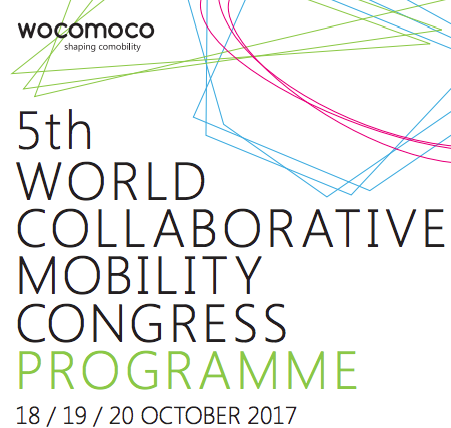 Susan Shaheen, PhD, delivered the Keynote Address at the WOCOMOCO 5th World Collaborative Mobility Congress, on October 18th, 2017. Watch her full remarks here. On 9 August, 2016, UC Berkeley’s Transportation Sustainability Research Center (TSRC) in partnership with California Department of Transportation (Caltrans) hosted a workshop “Moving Toward a Sustainable California: Exploring Livability, Accessibility & Prosperity” at the David Brower Center in Berkeley, California. The day long event included presentations by experts on current planning processes and tools for prosperity, accessibility, and livability performance metrics. Towards the latter half of the workshop, participants from several jurisdictions and organizations provided their insight into the issues, and highlighted their concerns for corridor level development before concluding the day with a closing plenary session. To download a complete summary of the event, click here. The “Moving Toward A Sustainable California: exploring livability, accessibility, & prosperity” white paper was produced as part of this research and can be found here. On January 10, 2016, Professor Susan Shaheen of UC Berkeley’s Transportation Sustainability Research Center (TSRC) and Prachi Vakharia of Ride Amigos hosted the “Multi-Modal Mobility and Sharing Economy: Shaping The Future Market Through Policy & Research” workshop at the Walter E. Washington Convention Center in Washington DC. It was organized as part of the Transportation Research Board (TRB) 95th Annual Meeting. The workshop was sponsored by the following subcommittees: AP020, AP020(1), AP020(2), and AP040. The workshop facilitated a dialogue among nearly 120 participants around new developments in the shared mobility sphere. To download a complete summary of the event, click here. To view presentation slides from the event, click on the presenter’s name and title: Susan Shaheen, UC Berkeley, Timothy Papandreou, SFMTA, Katherine Kortum, TRB. On September 8, 2015, UC Berkeley’s Transportation Sustainability Research Center (TSRC), in partnership with the California Department of Transportation (Caltrans), hosted “Shared Mobility: A Sustainability and Technologies Workshop” at the UC Davis Conference Center. The workshop facilitated a dialogue among nearly 100 participants representing 28 organizations. To download a complete summary of the event, click here. To watch videos of the welcome and panel sessions of the workshop, click here. The “Shared Mobility: Definitions, Industry Developments, and Early Understanding” document produced as part of this workshop can be found here. 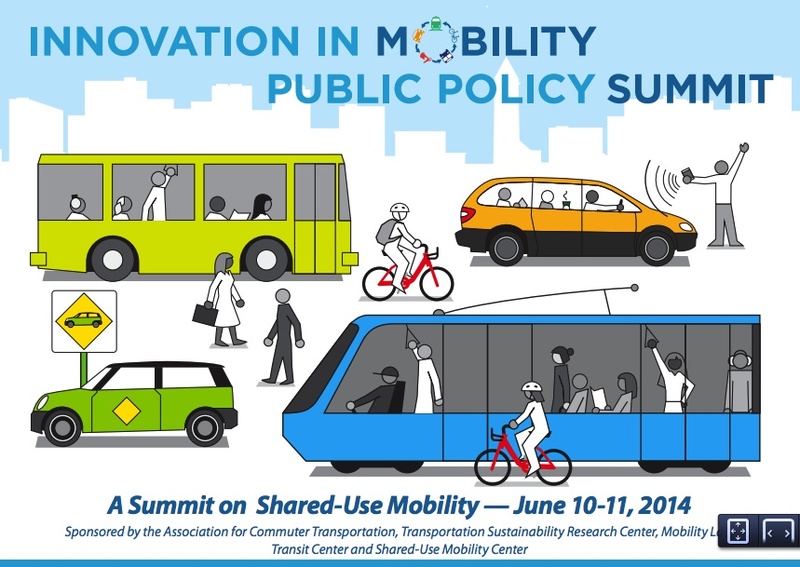 On October 10 and 11, 2013, UC Berkeley’s Transportation Sustainability Research Center (TSRC), hosted the inaugural Shared-Use Mobility Summit in San Francisco, California. The summit facilitated a lively dialogue among nearly 300 participants representing close to 200 organizations. Participants included mobility providers, policymakers, governmental agencies, non-profits, technologists, academics, media, stakeholders, and affiliated industries. The summit provided stakeholders with the opportunity to advance the discussion and to help identify key policy issues. The next summit will focus on policy issues and will be held in DC in June 2014. To download a complete summary of the event, click here. To watch a video from the first day of the summit, click here. The summit agenda can be found here. On June 10 on 11, an unique group of transportation and technology leaders, researchers, professionals, and advocates met in Washington, D.C. to help shape the future of shared-use mobility. The summit was two days of engaging conversation on how new demographics and innovative technologies are changing transportation–and how governments and regulations are quickly falling behind. Over 200 participants from across the country brought expertise across the public, private, and education sectors. To view a summary of the event created by TransitCenter, click here. To check on the full agenda, click here. 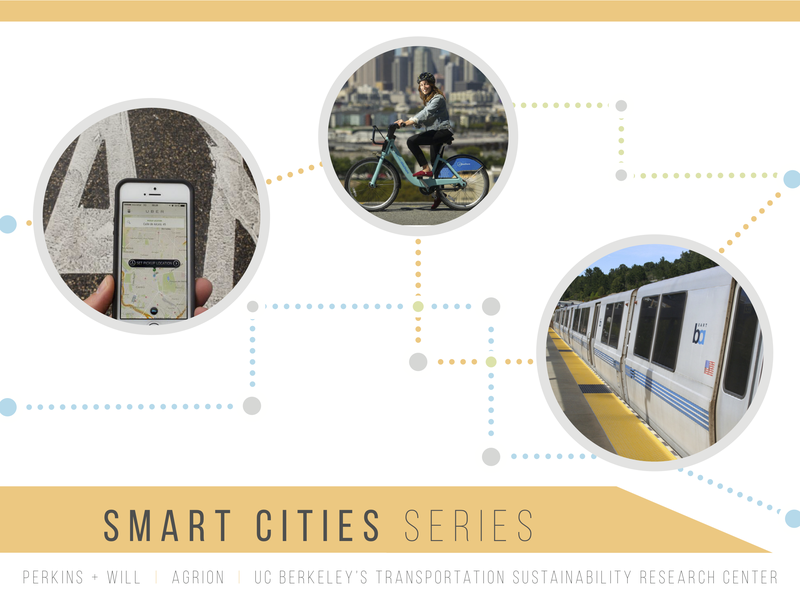 Over the last year, Agrion, Perkins + Will, and UC Berkeley’s Transportation Sustainability Research Center have led a series of workshops regarding a range of urban mobility issues. Each of these workshops have been summarized and provided in PDF form below.